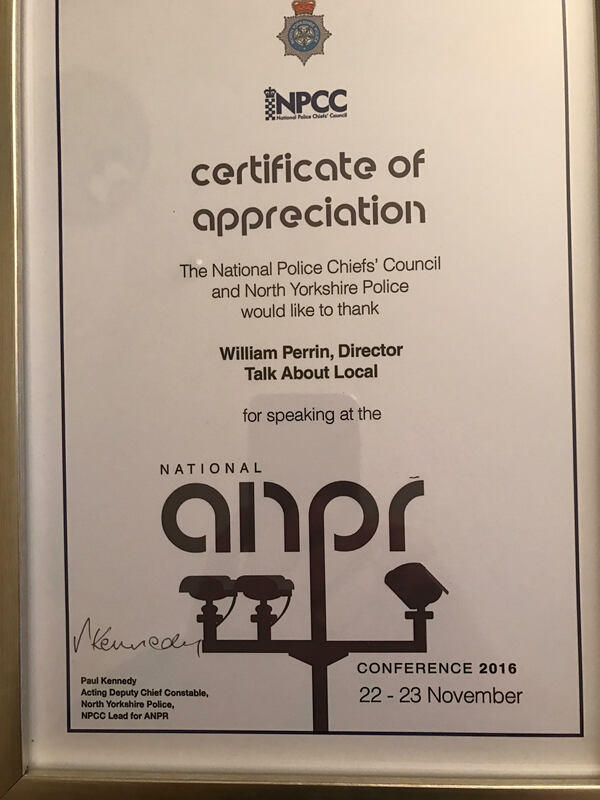 I was invited to address the National ANPR Conference in York on 22 November about my work to modernise accountability and scrutiny of the vital ANPR system. 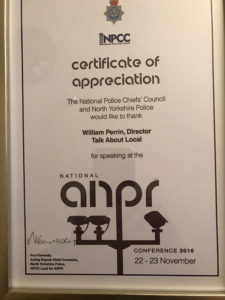 As ever when addressing a police conference I was struck by the professionalism, skill and commitment of the people there and the excellent work they do in each force with ANPR to protect the public. However I came away with the impression that grass roots excellence in practice wasn’t matched by sight of the big picture, particularly the tricky place ANPR is now in after a decade of weak external oversight and governance as a national system. The purpose of my talk was to get that across and set out a basic vision for a future ANPR more legally and socially secure. I got a fair hearing, no one threw any rotten fruit and once again I thank DCC Paul Kennedy for engaging me in this process. The Information Commissioner’s Office is due to speak too, if their slides appear online I’ll link to them.